Sozopol is the oldest town on the Bulgarian Black Sea Coast – the first settlement in the area can be traced back in the II millennium BCE and the first settlers were the Thracians. At the beginning of the 7.century BCE the Thracian settlement was colonized by the Greek, who called the town Apolonia in the name of their Sun-God. From the 4.century the town became known under the name Sozopol, i.e. a town of saving. In the Sozopol Bay have been found plenty of stone anchors from the II-I millennium BCE and other implements providing evidence of dynamic shipping already in ancient times. Sozopol was a key port and a trade centre with connections to the biggest cities of Ancient Greece and the Orient. Today the town of Sozopol has two parts – the old and the new town. Especially the old town is a romantic and beloved place of interest with narrow cobblestone streets and preserved old houses of calm and balanced architectural design. Here are located the oldest church St. George, built in 1828 over the remains of an early Christian basilica; the monastery "St.Ioan" in close proximity of a big Thracian sanctuary. Sozopol has been an attractive seaside resort for decades. Especially in the last few years the number of hotels, holiday villas and vacation properties has increased considerably to 32 000 beds. 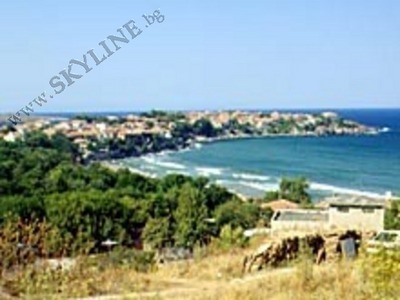 • The bay of Kavatsite – 4 km to the south of Sozopol, closed by the capes "St. Christ" and "St.Agalina". The sandy beach here is one of the best beaches in the area.